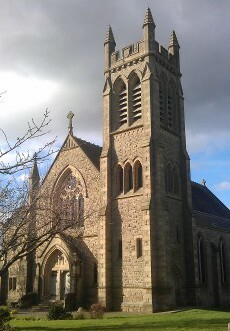 Welcome to Larbert East Church of Scotland. We are a growing church with a successful blend of traditional and contemporary worship. Founded in 1843, we've come a long way, guided by the Spirit and a desire to share God's Word. We have a diverse congregation with people of many ages, cultures and backgrounds and would warmly invite you to join us and share your own journey. Services are held on Sunday mornings at 10:30am and Thursday mornings at 11:15am. We have full disabled access, induction loop for the hard of hearing, and creche facilities are provided at the Sunday morning service. Our minister is Rev Melville Crosthwaite. He has served at Larbert East since 1995, after leaving his former charge of Carstairs linked with Carstairs Junction.